An interdimensional fictional transmission. SubverCity Transmit is a LGBT themed fantasy, horror and science fiction transmission featuring tales of the queer, freaky, outcast and otherwise lost. A.M. Onymous, the "only slightly mad" descendent of the Hatter, is the chic host and narrator of the broadcasts that originate from the brightly lit depths of an underground transportation hub. 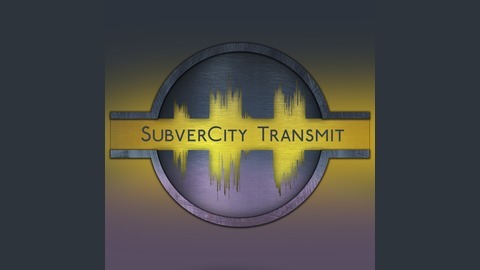 SubverCity Transmit is Recorded, Edited and Produced by Erin B. Lillis. Story submissions and online media are managed by Corin Reyburn. This broadcast is a Krockett and Greyvn Production. 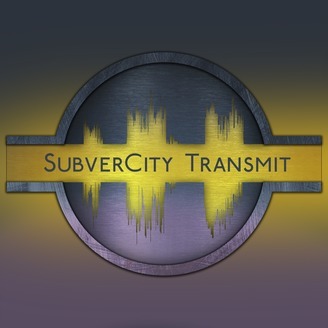 On Twitter you can Become a supporter of this podcast: https://anchor.fm/subvercity-transmit/support. This episode's story, "Berlin Ben's Big Night Out," was written by Corin Reyburn. Corin's website is http://www.infrastratos.com. Both the episode and the tale within touch on what fun it might be to be able to change your gender at will while living within a society that doesn't blink an eye. (Unless batting both eyes in a flirtatious manner.) You'll meet a TransAgent, Jacques Jules and Berlin Ben/Bethany within the SubverCity tonight. The voice of AM Onymous is Erin B. Lillis (http://www.ErinLillis.com). Other featured voices in this episode include Kristin Roybal, Jose Perez (https://www.youtube.com/channel/UCJgq3GHh2BmIXLki5MwXg1A), Jupiter Q. Hurst (https://www.hitrecord.org/users/Jupiter_Q_Hurst) and our intro was read by Evienne Zander (https://soundcloud.com/evienne-zander) and Dan Van Horn (https://www.hitrecord.org/users/DVanHorn) as the TransAgent. To contact us or submit stories, please visit our website at SubverCityTransmit.com. This episode was written by Erin B. Lillis and Corin Reyburn and is a Krockett and Greyvyn Production.